Check out the Stripology Ruler and Stripology Squared Ruler! 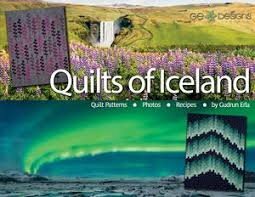 Book by Gudrun Erla featuring quilt patterns, photos, and recipes.Features 10 recipes form Iceland and 18 patterns. Many of the patterns are for more than one size quilt. The photography in this book is simply stunning!